THE LOVING STORY was shown on Valentine's Day Tuesday, February 14, 2012 on HBO and you should read about this Couple they are Wonderful People who fought for their Right to be Married! 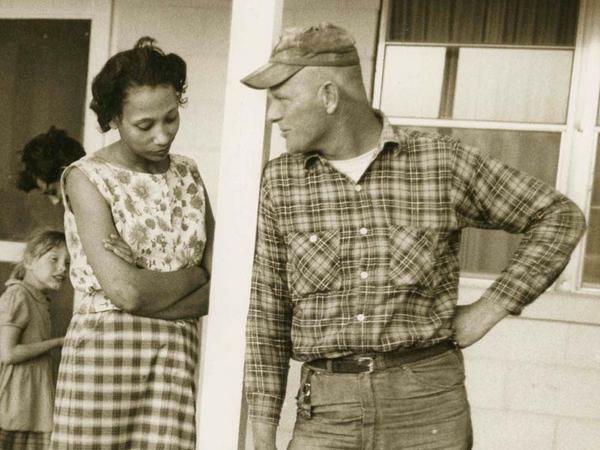 Banished to Washington, D.C., Mildred Loving, who did not consider herself a political person, wrote about her plight to Attorney General Robert F. Kennedy. The American Civil Liberties Union took up the case and brought it all the way to the United States Supreme Court. 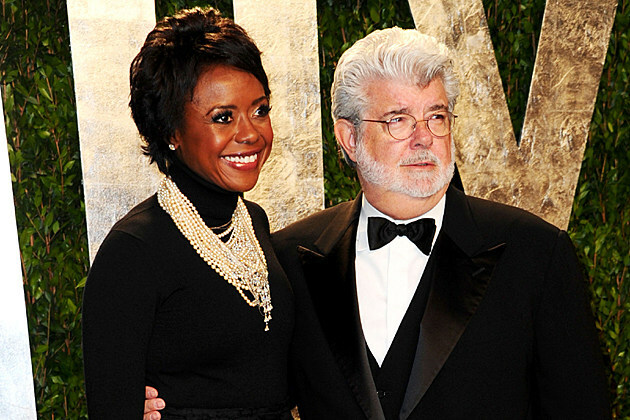 In 1967, in a landmark Civil Rights ruling, the court struck down America's laws against interracial marriage. On the 40 th anniversary of the ruling, Loving issued a statement that read, "I am still not a political person, but I am proud that Richard's and my name is on a court case that can help reinforce the love, the commitment, the fairness, and the family that so many people, black or white, young or old, gay or straight, seek in life." In 1965, Life Magazine sent photographer Grey Villet to photograph the Lovings and their three children. 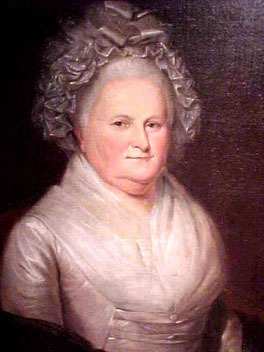 Writing for the New York Times, Villet's widow Barbara recalled that he approached the assignment with the aim of creating a tender family portrait, not an overtly political statement. "He chose as he did in every essay…to seek out the literal heart of the matter: a love story." However, the images were utterly groundbreaking exactly because of the intimate and emotionally transparent way they portrayed a taboo subject. Filmmaker Nancy Buirski rediscovered Villet's photographs while making a documentary for HBO called The Loving Story. Twenty of the images are on display at the International Center of Photography in New York City from January 20 through May 6, 2012. Forty-five years ago, sixteen states still prohibited interracial marriage. Then, in 1967, the U.S. Supreme Court considered the case of Richard Perry Loving, a white man, and his wife, Mildred Loving, a woman of African American and Native American descent, who had been arrested for miscegenation nine years earlier in Virginia. 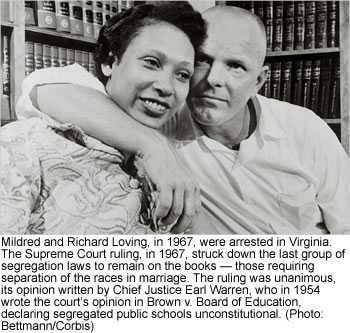 The Lovings were not active in the Civil Rights movement but their tenacious legal battle to justify their marriage changed history when the Supreme Court unanimously declared Virginia's anti-miscegenation law—and all race-based marriage bans—unconstitutional. 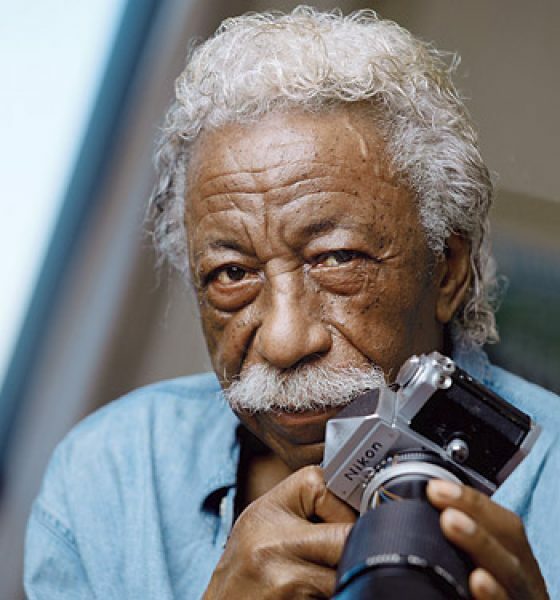 LIFE magazine photographer Grey Villet's intimate images were uncovered by director Nancy Buirski during the making of The Loving Story, a documentary debuting on February 14, 2012 on HBO. The exhibition, organized by Assistant Curator of Collections Erin Barnett, includes some 20 vintage prints loaned by the estate of Grey Villet and by the Loving family. This exhibition was made possible with public funds from the New York City Department of Cultural Affairs in partnership with the City Council. Professor Novkov’s book, Racial Union: Law, Intimacy, and the White State in Alabama (University of Michigan Press, 2008) recently was picked to receive the 2009 Ralph Bunche Award, given for the best scholarly work in political science that explores the phenomenon of ethnic and cultural pluralism. Ralph Bunche was the first African American to win the Nobel Peace Prize. 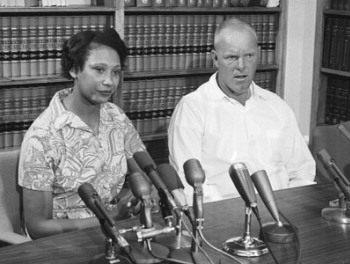 In 1967 the Supreme Court struck down the ban on interracial marriage in Virginia, after hearing the case of Loving vs. Virginia. 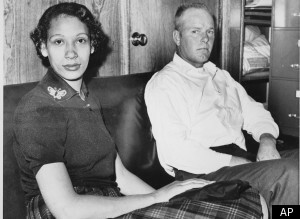 Mildred and Richard Loving at a press conference announcing the decision. Richard Loving's lawyers on the eve of their oral argument before the Supreme Court, asked him if there was anything else he wanted them to add to their arguments. He replied, "Tell the Court I love my wife." 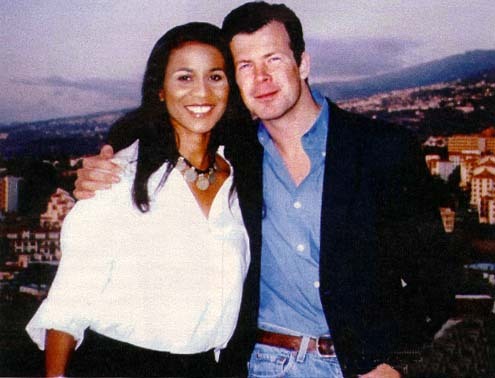 Interracial marriage is common in the U.S. today, notes a 2007 Associated Press story. As President Barack Obama himself is the child of a white mother and black father, it is easy to forget that only 42 years ago, interracial marriage was still against the law. A new book by UAlbany professor Julie Novkov addresses the issue of interracial marriage by tracing the history of Alabama's laws—which maintained a ban until 2001. Even at that late date, when the ban was removed from the Alabama constitution, 40 percent of the voters objected. "The surprisingly controversial vote over removing Alabama's constitutional prohibition on interracial marriage is another proof of what social scientists know: what people will say publicly about race often differs from what they will discuss — and believe — behind closed doors," said Novkov, a professor of political science and women's studies. Novkov’s book, Racial Union: Law, Intimacy, and the White State in Alabama (University of Michigan Press, 2008) recently was picked to receive the 2009 Ralph Bunche Award, given for the best scholarly work in political science that explores the phenomenon of ethnic and cultural pluralism. Ralph Bunche was the first African American to win the Nobel Peace Prize. 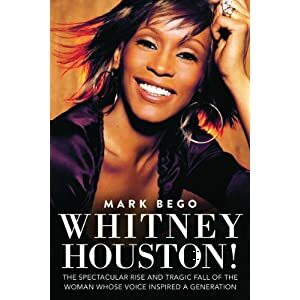 "I wrote the book because I believe passionately that we do not live in a post-racial society," said Novkov. "The fundamental message is that Alabama was deeply invested in creating and maintaining a system of white supremacy for generations. The legacy of the system has not collapsed simply because the state has, for the most part, stopped enforcing it." 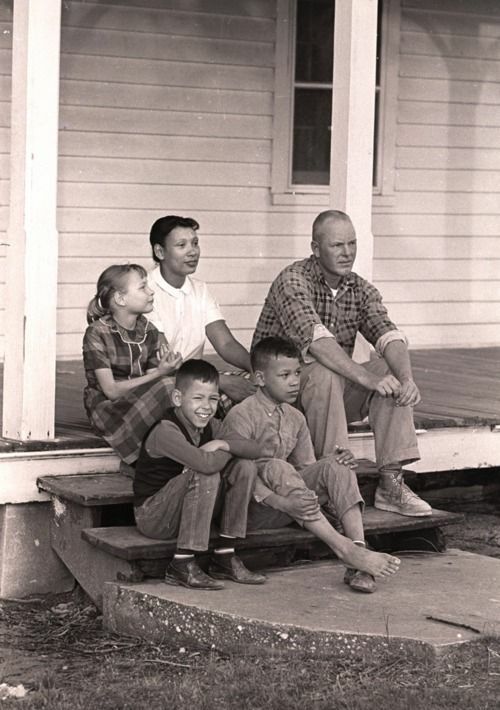 Richard & Mildred Loving at their home with their children, Peggy, Donald and Sidney.